Mistletoe, conifers, poinsettias and holly. Tradition is fine but surely we can do as well with plants that are better adapted to typical local conditions and that actually flower and fruit for us in the southern hemisphere at the right time. It’s a start that many of the states have their own plants unofficially designated with the season's cheer like the Victorian Xmas Bush (Prostanthera lasianthos) and the NSW Xmas Bush (Ceratopetalum gummiferum). Different plants with different seasons in different areas but there'll be something to do the trick in your garden. 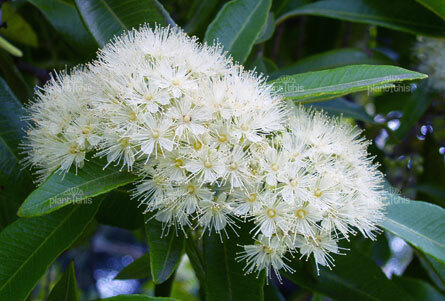 Earlier spring displays of fluffy white flowers and then colourful new foliage of the riberry or small leaf lilly pilly (Syzygium luehmannii) are now being followed by bundles of red and edible fruit – a likely substitute for holly. 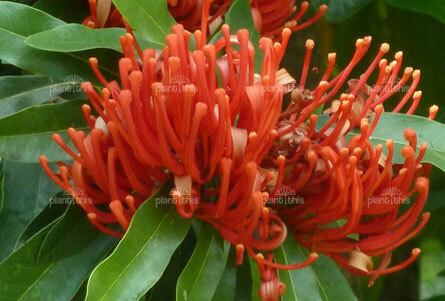 If space allows, ditch the poinsettia for the vibrant red flowers on dark green leaves of the tree waratah (Alloxylon flammeum) or Dorrigo waratah (Alloxylon pinnatum). Or there's Crown of Gold (Bauhinia syringifolia) with its glossy leaves and vibrant flower brushes in patriotic Aussie colours. The leaves of the lemon scented myrtle (Backhousia citriodora) could be a handy flavouring in some festive recipes while its snowy flower heads give something of the wintery feel of a more northern Christmas. 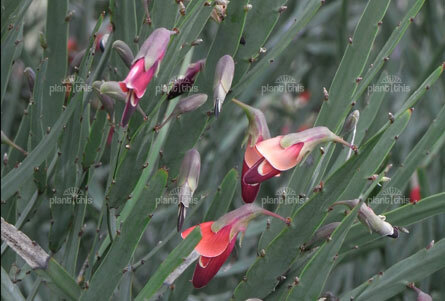 Cactus pea (Bossiaea walkeri) has tangled flat stems like some weird mistletoe but also decorated with red flowers like little bells. For a Xmas tree, there are various native conifers or the tall woolly bush (Adenanthos sericeus) with soft silvery foliage a bit like tinsel and small flowers again in festive red. Look out for native plants with some of that traditional Christmas feel and putting on a show locally right now. Start planning a garden for next year that will reflect the spirit of the day. 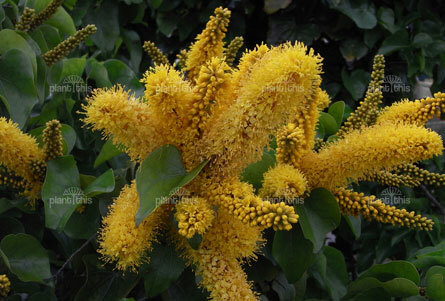 These plants look lovely. It would seem no one has been on this site for quite a while. A pity it looks like a great site. What’s a good Christmas type tree for a dry tropic area? Clay soil, high winds in spring, big wets & dry winters. Minimum winter is approx 10 but can get down to 3, summers are usually wet and temps in 40s with high humidity.